Hospice offers comprehensive, compassionate care for people at the end of life and support for families. Hospice offers palliative care that seeks to comfort rather than cure. The physician thinks that the patient will live 6 months or less if the disease runs its normal course; aggressive treatments are not working or providing relief to the patient; and the patient, family and physician agree and understand that the focus of care is on comfort (pain control and symptom management), not cure. What patient care services does Accredited Hospices of America offer? Hospice care can include a wide variety of services to relieve the patient and family of many of the burdens associated with a terminal illness. Hospice patients are cared for by a team of doctors, nurses, social workers, certified nursing assistants, clergy and volunteers. Each provides assistance based on his or her area of expertise. In addition, Accredited Hospices of America provides medications, supplies and equipment related to the terminal illness. A registered nurse is on call 24 hours per day, seven days a week. How does hospice address pain management? Accredited Hospices of America addresses physical, emotional and spiritual pain. Hospice nurses and doctors are up to date on the latest medications and techniques for pain and symptom relief. The success rate of hospice in managing pain is very high, and most patients can be kept comfortable. Usually not. It is the goal of hospice to allow the patient to be pain free but alert. By continually consulting with the patient, hospices have been very successful in reaching this goal. What is the role of the patient’s physician in hospice care? The patient’s physician remains responsible for and coordinates care of the patient with Accredited Hospices of America’s nurses. Accredited Hospices of America recognizes dying as a natural process and neither hastens nor postpones death. Hospice is a philosophy of care, not a place. Most hospice patients receive care at home or at the home of a relative or friend. 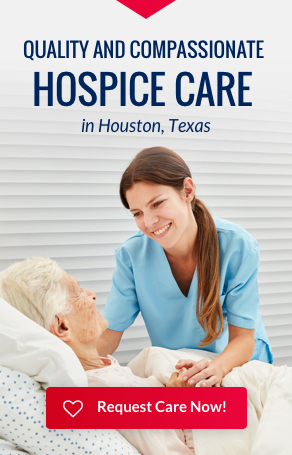 Hospice care can also be provided in long term care facilities and nursing homes. Some hospices have residential units designed to provide a homelike setting for patient care. Accredited Hospices of America does not have an in patient facility. Interdisciplinary Team Approach: In hospice, all members of the care team – physicians, nurses, social workers, chaplain, nursing assistants and volunteers – work together to coordinate care. Family Focus: Hospice care focuses on the entire family. The hospice team teaches the family how to be involved in their loved one’s care. Is there any special equipment or changes I have to make in the home before hospice care begins? The hospice RN and social worker will assess your needs, recommend any equipment, and help make arrangements to obtain any necessary equipment. Often the need for equipment is minimal at first and increases as the disease gets worse. In general, hospice will assist in any way it can to make home care as convenient, clean and safe as possible. There is no set number. One of the first things the hospice team will do is to prepare an individualized care plan that will address the amount of caregiving needed. Hospice staff visits regularly and are always accessible to answer medical questions and provide support. No. Hospice care is for all terminally ill patients in the end-stage of any disease, including, but not limited to lung disease (emphysema, fibrosis, COPD, etc. ), heart disease, neurological disease (ALS, Alzheimer’s) and AIDS. There is also no age restriction. While most patients in Hospice are over 60 years of age, younger adults and children are also served. Who can refer a patient to Accredited Hospices of America? Although anyone can refer a patient to a hospice program, many referrals originate with the attending physician. To be admitted, a patient must agree to treatment aimed at comfort rather than cure and have an incurable disease resulting in a limited life expectancy as certified by a physician. At any time during a life limiting illness, it is appropriate to discuss all of a patient’s care options, including hospice. By law the decision belongs to the patient. Understandably, most people are uncomfortable with the idea of stopping an all out effort to beat the disease. Hospice staff members are highly sensitive to these concerns and are always available to discuss them with the patient and family. It is important that services begin as soon as a patient qualifies for care. Hospice becomes an appropriate choice when curative treatments are no longer effective. Hospice can provide relief from physical and emotional pain so that the patient can live their remaining days in comfort and dignity. One of the first things Accredited Hospices of America will do is contact the patient’s physician to make sure he or she agrees that hospice care is appropriate for this patient at this time. A hospice nurse will arrange an admissions appointment to make sure that the patient agrees that hospice care is appropriate. The patient will be asked to sign a consent form and insurance forms, similar to the forms patients sign when they enter a hospital. The form says that the patient understands that the care is palliative (aimed at pain relief and symptom control) rather than curative and outlines the services available. The form Medicare patients sign also tells how electing the Medicare hospice benefit affects other Medicare coverage for a terminal illness. Who pays the costs of care by Accredited Hospices of America? Hospice care is covered by Medicare, Medicaid and most private insurance. Patients without insurance resources are accepted and are provided the same level of care as patients with insurance. If the patient’s condition improves, they can be discharged from hospice and begin treatment or resume daily life. If the patient should later need to return to hospice care, Medicare and most insurance programs will allow additional coverage. Does hospice care end when the patient dies? A unique feature of hospice care is that continuing support for family is provided for at least a year following the death of a loved one. What other programs does Accredited Hospices of America offer? Accredited Hospices of America coordinates grief support groups, provides individualized grief counseling through the One on One program.